Stuck again without MS Access and getting tired of this, I decided to write a simple Viewer for MDB files. As expected it turned out to be simple since Delphi already supplies everything necessary. 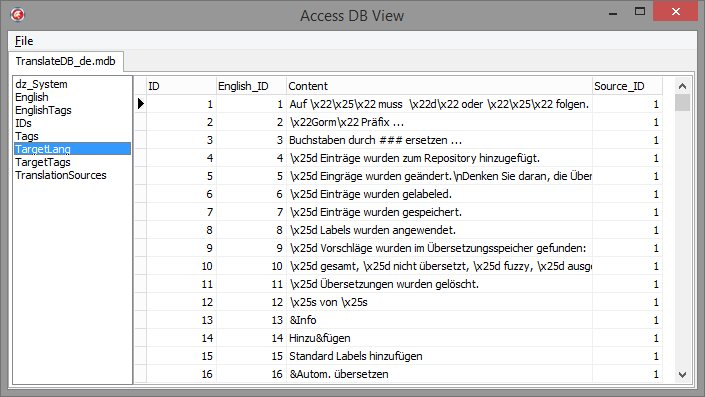 The tool allows to open multiple MDB files, displays a list of tables and the content of a table. That's it, nothing more. It also supports ACCDB files, if the latest version of the Microsoft Access Database Engine 2010 Redistributable is installed.